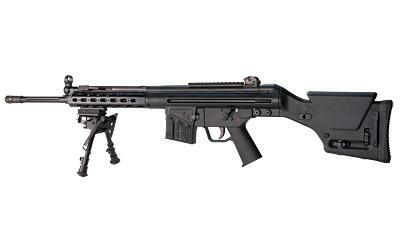 Ptr Industries Ptr-91 Msg Model•308 Win 18" Fluted Barrel; Tactical Handguard With (1) 6" Rail Bi-pod Prs2 Adj. Stock Welded Scope Mount Black Finish Removable 5/8x24 Flash Hider Paddle Mag. Release (1) 20rd Mag.